Hi, my name is Anna Chrusciak and I live in Shefford, Bedfordshire. I love living in the town and have lived here for nearly 13 years. I am originally from Norfolk and moved to Bedfordshire when I met my husband 15 years ago. I have worked with children for the last 11 years professionally in local preschools and have completed a number of diplomas (level 3nvq) including ‘Children and Young People’ and ‘Speech, Language and Communication’. This has complimented the experience I have gained from raising our four children. I have completed all my childminding qualifications, first aid, food hygiene, safeguarding and will continue to complete on-going training to keep my skills up to date. I love working with children and enjoy watching them learn and grow, my ethos is learning through play. . I observe. then plan. . then extend the child’s interests and combine the areas of learning to make it a fun enriching learning experience. Ofsted grading -July 2017 -OUTSTANDING. Gravenhurst - Pippins and Bramleys - OUTSTANDING pre school. 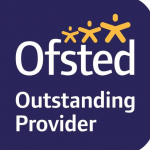 I am ofsted registered and my grade is Outstanding. First Aid (valid to 2021). Level 3 in speech, language and communication. Level 3 unit in childminding. A Monday and Friday full day space for 2 children will be available from September 2019 (between 7.30 and 6pm). Updated 20th February 2019. £6 Before and after school and holiday care. Below are the latest reviews for A Chrusc. Please note that reviews represent the subjective opinions of other Childcare.co.uk users and not of Childcare.co.uk. Parents must carry out their own checks and references on childcare providers to ensure that they are completely happy before enaging in the use of their services. My 2 year has been with Anna since he was 11 months old. I already new Anna from her time at Pippins and Bramleys. When I had my son I knew I wanted Anna to look after him and was so utterly pleased when she had a space for him. Anna is such a kind, caring, nurturing person whom I trust entirely with my son. He settled in so well and really enjoys his time with Anna. Anna does so many different activities with the children and gets them involved in outdoor play. I highly recommend Anna. R has been looked after by Anna since she was 9 months old. R is very settled and loves going to Anna. I first met Anna when she was my oldest child's key worker at preschool and it really feels like she is a part of our family; all 3 of my children love her! Anna is caring and professional and it makes leaving R so much easier knowing that she is being so well cared for. Anna looked after my 6 month old daughter in the lead up to our wedding and was there throughout the ceremony and reception. Anna was fantastic! My daughter had a great time. Anna made sure that I felt comfortable by sending regular updates as it was my first experience of leaving my daughter with anyone outside the family. She went over and above to attend to Heathers needs and took her for walks to try to get Heather to sleep (my daughter fights sleep!). Really recommend having Anna as a babysitter.